Emerging within the last 10 years Oracle has made a huge impact in automotive lighting. They are mostly known for their Halo light kits but have a huge selection of LED and conventional lighting options and accessories. Check out the Recently Listed Banners. Check out the Recently Listed Exterior Mirrors. Check out the Recently Listed Flashlights. Check out the Recently Listed Light Bars. New Orleans, Louisiana... proud to call it home! Post-Katrina New Orleans paints a picture of rebirth and renewal. The community is bound together in a new sense of purpose: rebuild and protect the culture of the New Orleans experience. The resilience of this City and its people is truly inspirational and motivates us everyday. Here in NOLA there is a new spirit in the air. You can feel it and you can see it, and if you scratch beneath the surface, it is truly an exciting place to be ? the charm of the Big Easy is just the icing on the cake. Our main office is right outside of New Orleans in Jefferson Parish, Louisiana. In 2012 we were named the Jefferson Parish Small Business of the Year by JEDCO. New Orleans CityBusiness Magazine also named ORACLE Lighting a Top Private Company in the Greater New Orleans Area for 2013 and 2014. In 2012 ORACLE Lighting opened a second location in Houston, TX to help service a growing customer base in the East Texas Area. Offering installation services as well as retail sales this location has shown tremendous growth potential and confirms that Retail locations offering strictly lighting solutions can be profitable and sustainable in today's economy. Located North West of Downtown Houston ORACLE Lighting of Houston (or "OLH") address is 10630 Grant Rd. Houston, TX 77070. These kits allow for the utilization of the existing LED DRL feature on these vehicles and convert it to a Color-Changing DRL. The ColorSHIFT Light is controlled by one of our remote systems to produce any color the user wishes. Depending on the controller option selected; the lights can make hundreds of different colors, dozens of patterns, control the brightness, and even the speed of the functions as well! LED Wheel Rings Designed to fit around the brake rotors of your vehicle, the ring illuminates the barrel of the rim with High Grade ORACLE LEDs. If you are looking for a "head turning" auto mod with just enough sophistication and flair, then these are perfect for you! we offer a wide range of high-quality Digital Ballasts for just about any Xenon lighting application. All of our ballasts use Samsung Digital Processors and , unlike many cheap HID kits, are designed to operate on AC current for a longer lifetime. 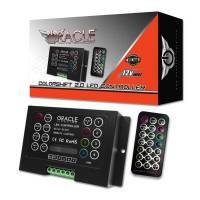 ORACLE Digital HID Ballasts are built to last and come with a Lifetime Warranty. Our 35W CanBus digitally regulated ballast is one of the most dependable ballasts on the market today. Xenon Replacement Bulbs for vehicles with a built with a factory HID system. Whether you are replacing a bulb that is no longer working or just want to change the look of your lights, these bulbs are the answer. Dealerships can charge over $300 for a single replacement HID bulb. When changing a factory HID bulb it is advisable to change both bulbs a the same time because years of use can cause the bulb to change color and not match the new bulb. ORACLE LED Illuminated Factory Replacement Badges. These genuine factory badges are modified to stand out from the crowd. We take the original emblems from the vehicle manufacturer and modify them to accept an acrylic plate fitted with ORACLE LEDs for a smooth visual pop. 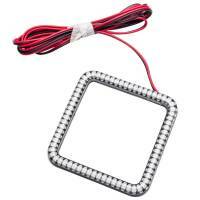 Can be used as a running light or third brake light. 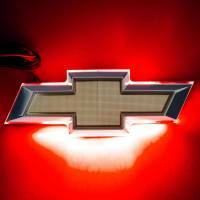 Currently available for Chevrolet and Chrysler vehicles, more makes soon to be available. we are proud to serve First Responders and Law Enforcement Officers and these strobe lights will not disappoint! Using the latest in solid-state LED technology these Super-Bright LED strobe lights blow away the competition. The built in controller module allows you to select 19 different patterns without the need of an external LED controller. 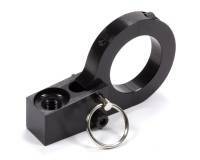 Available in 8 different configurations and 5 different colors we have something for any application. 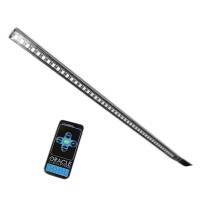 These LED Scanner bars were just introduced in 2011 and have quickly become one of our most popular items. Not only can these LED scanners perform a multitude of functions but they are simple to install. Just a two wire + and - connection then you control everything else from the included wireless controller. LED scanners are available in four different sizes to fit just about any vehicle or application and we now offer 6 different colors, ColorSHIFT®, and now Dynamic ColorSHIFT®. Concept SMD Sidemarker lights are complete sidemarker replacements fitted with high powered 3528 Bridgelux LEDs that produce a laser-like appearance. Currently these sidemarkers are available for the 5th Generation Chevrolet Camaro, C6 and C7 Corvettes, 2010-2014 Ford Mustang, and the 2008-2014 Dodge Challenger but more vehicles will become available in the near future. 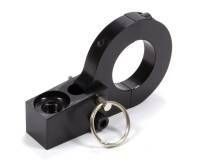 These are available with Clear or Tinted lenses and painted to match any of the factory paint codes. The ORACLE Camaro Concept Side Mirror takes the design from the 2009 Camaro Concept Car. The design is sleeker for a more aerodynamic look. The integrated LED's inside the mirrors can used as both turn signals and parking lights. An aspherical mirror is added for a wider field of view, so no visibility is compromised. These are plug & play design and hook right up to the factory harness to allow for full control over the mirror adjusters. The mirrors can be custom painted by any factory GM color. ORACLE G.O.B.O. Door LED Projectors is an acronym for "GO Between Optics". It is an image that can be projected when an light source is introduced. In this case the light source is a high powered LED so the image is crisp, the housing is small, and it puts out very little heat. 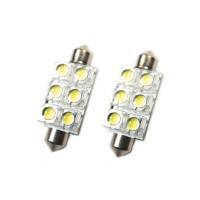 Here you will find the ORACLE High Power LED Reverse Light Assemblies. 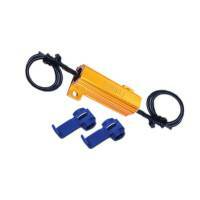 These complete replacement light housings that plug into your existing wiring without any further modification or hassle. The lamps house high-powered CREE LEDs that produce a vibrant white light with 300-450% more lumen efficiency than the existing factory reverse lights. Projector Retrofitting is beneficial because it provides optimal light output and quality to a vehicle that was not originally equipped with this option. These projectors install into your existing headlight housings using included threaded adapters. The Bi-Xenon shutter gives you upgraded high beam output as well. 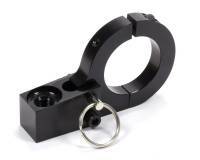 We offer a line of projector bezels to complete your retrofitting process. Hard to find accessories provided by ORACLE Lighting to fix common issues with LED bulbs such as flickering, rapid flash, and "CANBUS" errors. 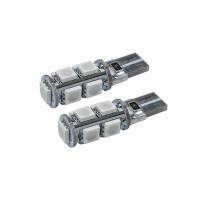 You will also find replacement sockets, adapters, and flasher relays. These type of filament bulbs change the appearance of your vehicle. The 55W HOD Headlight Bulbs change it by giving the driver's car headlights a simulated HID light color output and a brighter light output when compared to the stock halogen headlight bulbs. The Chrome Bulbs are incandescent bulbs that have a mirror finish that help remove that "egg yolk" look inside the headlight.